I have always had a special place in my heart for donkeys. I am one who cheers for the underdog. Growing up, Eeyore was one of my favorite cartoon characters. When I grew up and became a mom, the nursery was done in Classic Pooh, with Eeyore all around. 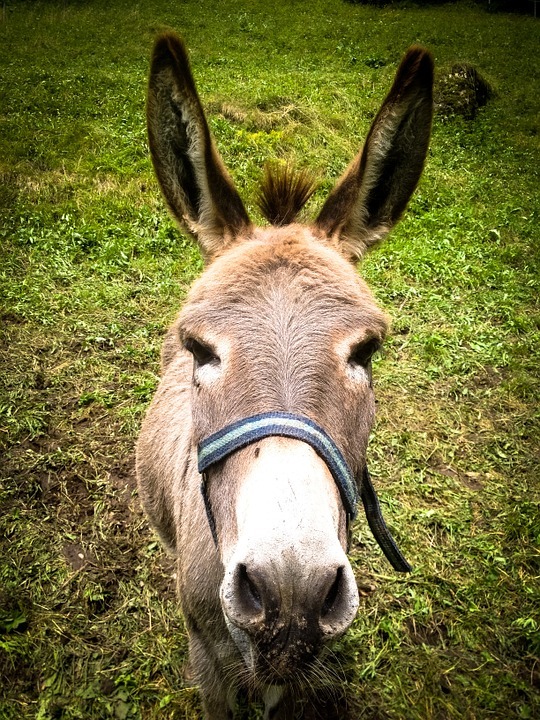 Last week while picking strawberries with the kids, we watched a young donkey run and play through his field. The kids and I smiled and giggled as we watched the sweet animal frolic and play so merrily. Then its mother walked over and you could almost see the joy in the animal's eyes as it went over and loved on its mom! 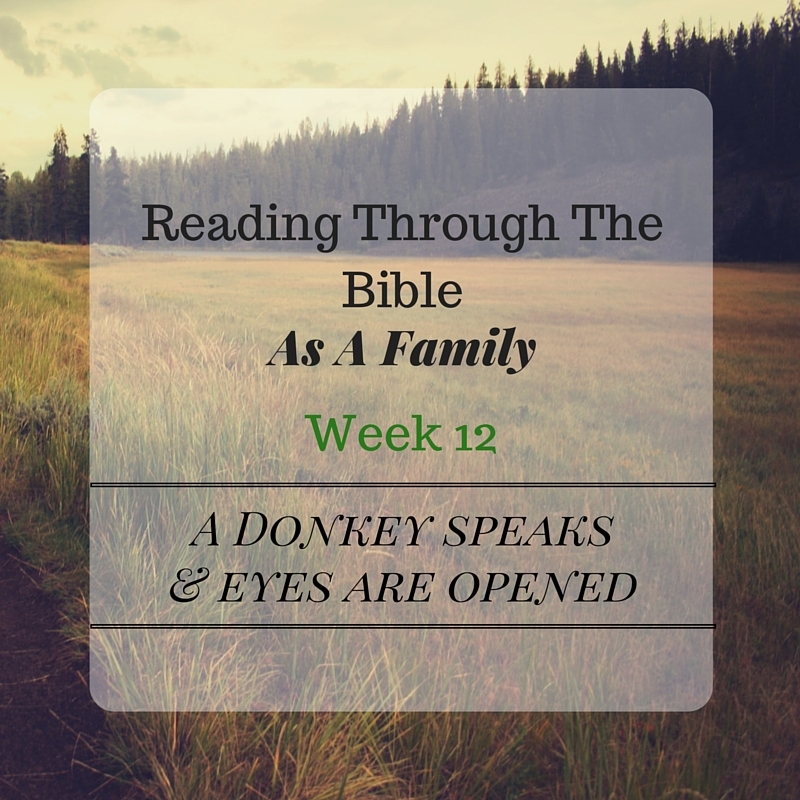 That same night, we read an exciting account in Numbers 22 with Balaam and the talking donkey! How cool is that?! I have to say, I was thrilled to get to a part in our study I could read with excitement and enthusiasm. Though I had read the passage before and heard sermons preached on the topic, this reading was especially eye opening. God had visited Balaam the night before and had given his specific instructions. If Balak's men come to him, then he is to rise up and go. However, the next morning we read that Balaam gets up, saddles his faithful donkey, and goes with the prince of Moab. In verse 22 we read that this made the Lord angry because he went. It goes on to state that the angel of the Lord stood in the way opposing him. Balaam didn't see this angel standing in his way, but his donkey did. God had opened the eyes of that donkey to allow her to see that Balaam didn't need to go down that path. This poor donkey is beaten three different times for trying to avoid this angel of the Lord which has his sword drawn. Finally, the Lord opened the donkey's mouth to get Balaam's attention. 1. No where in that dialog does Balaam seem to be phased by the fact that his donkey is talking to him. Not in the slightest. In fact, he just told him that if he'd had a sword handy, he would have killed the poor animal. This tells me he was pretty upset to let the obvious miracle slip by without any wonder expression. 2. The donkey made Balaam think. She asks him if this was normal behavior for her. Has he ever had this problem with her in the past? Balaam's reply was a simple "No." Could this have been a "light-bulb" moment for Balaam? Did it finally all click that God was working here? This had to be a very humbling moment for Balaam. I know I've had those moments where I have clearly overreacted, or was straight up WRONG and had to fall flat on my face before the Lord, to apologize to someone, to make right my wrong. Has the Lord protected you from your own mistakes? Perhaps it was like Balaam, and it was your own disobedience. I pray that I never lose sight of my Lord and His path for me! But I'm also thankful for a God who opens the mouth of a donkey to get people back on the right track! Interesting observations on a familiar story! Thanks for sharing!